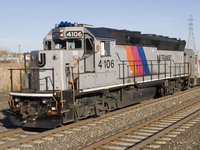 4100 – 4112 GP40PH-2 Former CNJ GP40P units. 4130 – 4144 GP40FH-2 Rebuilt with F45 cowls from GP40-2 units by Morrison-Knudsen. 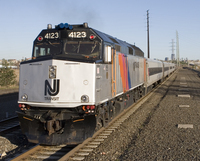 4300 – 4303 GP40-2 Not equipped with HEP generators. Used for switching and work trains. 4420 – 4431 ALP-44M Microprocessor-equipped ALP-44 units. 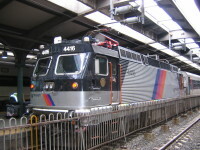 4800 – 4803 P40 Ex-Amtrak units purchased by NJT in 2007/2008 for use on Atlantic City express (ACES) trains.